Home / Beauty / Does organic hair dye even look good? Does organic hair dye even look good? 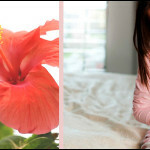 Wondering whether an organic hair dye looks good even? Well, you can see for yourself the results that speaks for itself while rendering the organic range of hair dyes as the best hair colours in the present. Ditch those synthetic hair colours and take your pick with the completely natural range of organic hair dyes like that of the Natural Indigo Leaf Powder that provides for a fun way to add colour to the tresses. With the range of Ayurvedic hair colours you can travel back to the ancient times of Indian Ayurveda that makes hair colouring a joyful experience. 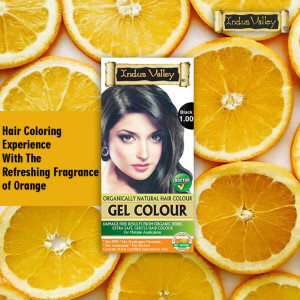 This completely Ayurvedic hair colour causes no damage to the tresses for it is especially formulated with certified herbs, plant extracts and other essential oils that have known to work wonders in terms of hair care. Not only does the organic hair dye help add bright and rich shades of colours to your hairs that in fact looks better than any ordinary hair dye, for its beneficial excellence helps add to the hair health and texture in an all-round manner. No Chemical Hair Dye: The Ayurvedic hair colour is this 100% Chemical free hair dye that contains no Ammonia, Ppd, heavy metals, hydrogen peroxide and any kind of added synthetics or fertilisers for the matter. 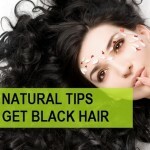 Therefore this organic hair dye is exactly what you need. The normal chemical colours fail to protect your hair and damage your scalp and hair owing to the harmful effects of the strong chemical colouring agents that it contains. Certified Botanical Composition: This 100% Organic hair colour is made up of Halal certified herbs like Aloe Vera, Jojoba Oil, Basil, Honey etc. These herbs are known for their medicinal value and are essentially good for the hair and scalp as they further provide for the all-round nourishment to the hairs and the scalp. 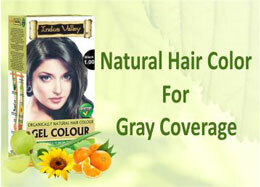 Much More Than An Ordinary Hair Dye: The certified organic components that this Natural hair colour contains helps to function as a remedy for a host of hair and scalp related issues like itchy scalp, dandruff and in addition, helps rejuvenate dull and damaged hairs while promoting hair fall and restricting hair loss in the endeavour. This helps to add an excellent healthy shine to the hair follicles that successfully enhances the texture and quality of the tresses. Colours Naturally: The magical herbs, plant extracts are especially formulated to provide for a natural color shade with a no chemical essence. This Natural Hair Color therefore helps deposit the color on the outer surface of the hair and it doesn’t penetrate the hair shafts in comparison to the chemical hair dyes. Variety of Tints: Organic hair dyes like Indigo powder when combined with natural henna is sure to get you a brown dye for the hairs. Apart from the natural blue shade, the same Indigo powder when added with Henna in varying proportions can yield a number of colour shades like burgundy, red, browns etc. So organic hair dyes like Indigo can be explored to the fullest for an array of lovely tints that ranges from classy dark brown to natural black colour to that of enigmatic reds on your hair. Experience the joys of organic hair colouring with the brilliant ayurveda hair colour that is sure to make your hairs look the best.